StylishByNature is all about being Stylish in all aspects of your life...be it Work OR Play !! 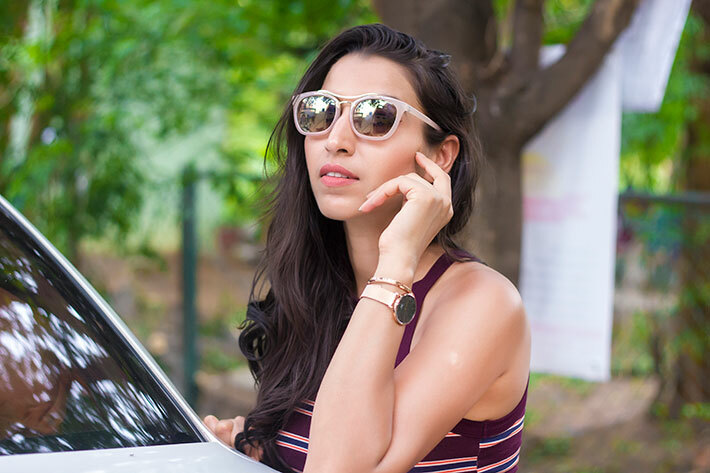 Hence, I keep my wardrobe updated with latest trends and today I am sharing the look which I recently wore for my Zumba workout class. Stripes are always in style, but on the Spring 2017 runways, they took on a whole new personality. Think of this as a much-needed spring revival of an old classic. Stripes styled with stripes was a common thread on the runways. Inspired by Gigi Hadid, I picked up on the matchy-matchy theme by sporting a set myself. I made it work for daytime by pairing multi-colored striped top with Solid Striped leggings. Adding in statement glasses along with metallic shoes. Interesting thing was to keep rest of the look neutral. 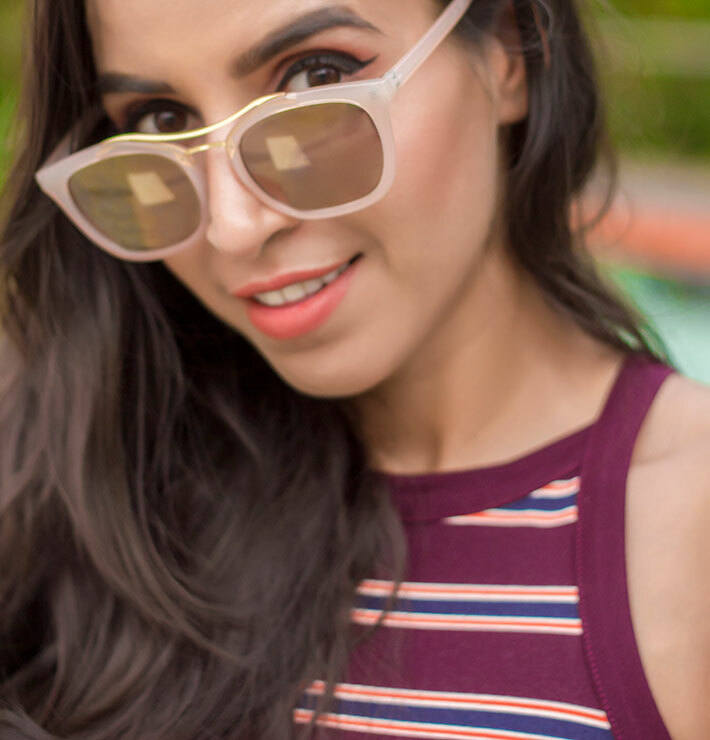 Besides UV protection, I trust my sunglasses to frame my face well, since a good pair of sunglasses can make or break a look. No doubt, I am very quality conscious and choosy for picking up right sunglasses for myself. 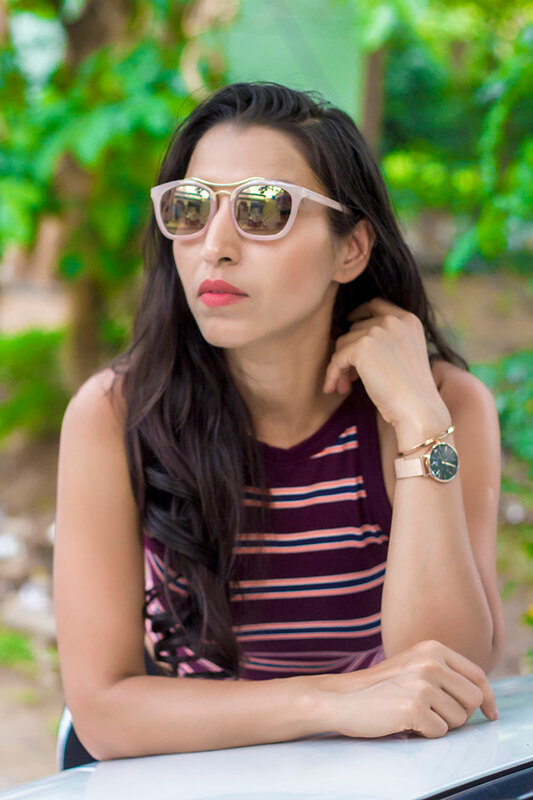 I trust, Titan Sunglasses to be one of the hottest and happening brands for sunglasses. They always bring the best of international fashion trends and popular styles in high-end finishes and high quality. 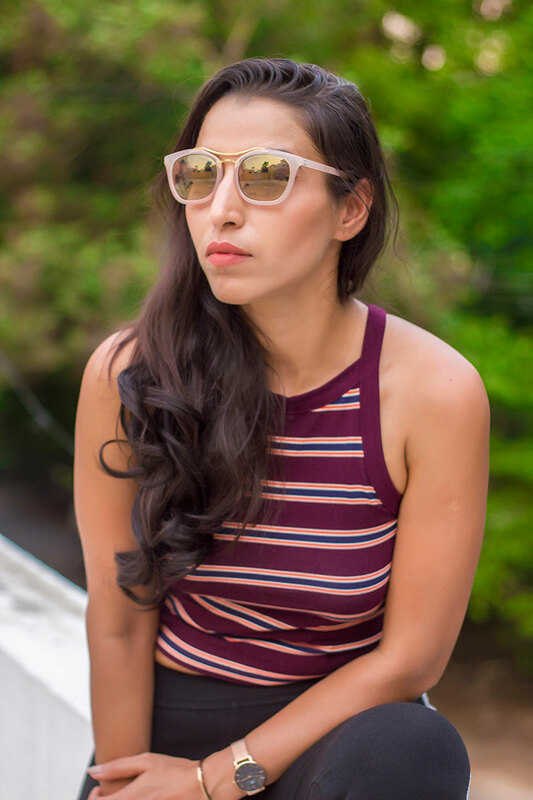 Not only that I was able to find the perfect neutral pair of sunglasses for myself, but also, another amazing timeless sunglasses. Since, I was planning a beach vacation to Thailand, I decided to pick up 2 great pair of sunglasses for myself. The products are made with premium materials like handmade acetates with metal and crystal embellishments for elegant designs. They are also priced attractively to appeal to the value conscious consumer. After receiving numerous compliments for my amazing pair, I decided to take them along for my Thailand trip. I was amazed at how well they complemented my vacation looks while keeping the UV protection ON. Its sheer joy when your accessories complement your choice of clothing to lift up a dull day outdoors !! I really enjoyed the lightness in design and the way it aligns with my facial contours.